Clinitas Soothe is an effective preservative-free eye drop in easy to use daily re-sealable droppers that can be used for 12 hours.. It contains the highest concentration of sodium hyaluronate 0.4% – a naturally occurring product in the eye. 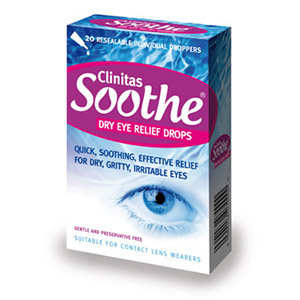 Clinitas Soothe an economical and very convenient eye drop.